“I am always up for working to spread good news”. 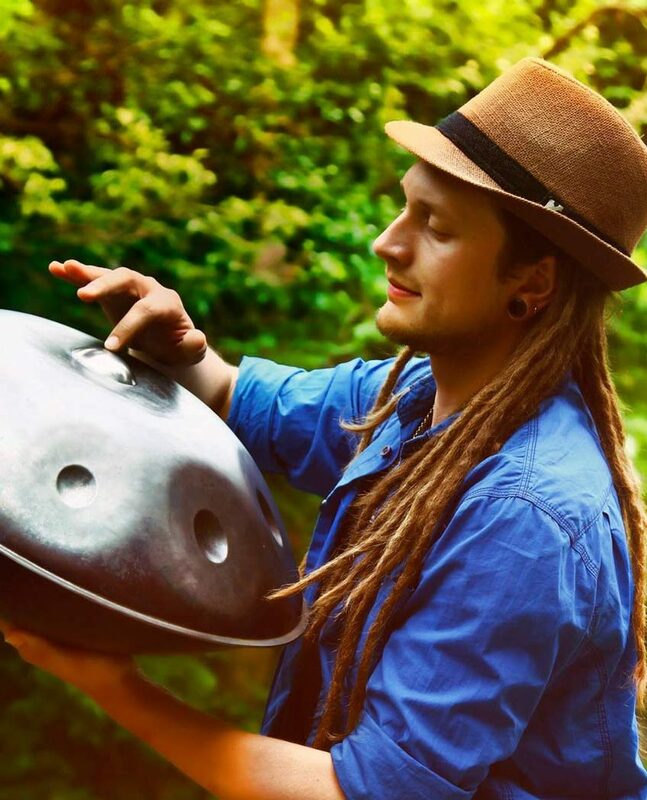 Since 2007 when he got his first HandPan, Daniel Waples has been playing over the globe, becoming over the years a Hang Ambassador. With his “Hang in balance” – as his website is called -, he is traveling from his London home to many countries. A world traveller, always on the move, Daniel goes each and every day deeper and deeper onto his connection with the Hang. He has given thousands of live performances, a lot of interviews and TED talks in many countries. Across continents and cities, he shares the powerful energy of the Hang and its healing properties as well as its magic. His reputation is for sure a proof that his music strongly touches people everywhere on their personal path through the journey of life. Playing the Hang is for Daniel Waples a way not only to make it known but to spread through it the universal peace it embodies. The Hang music he plays is an art of balancing and sharing. An Art of living.